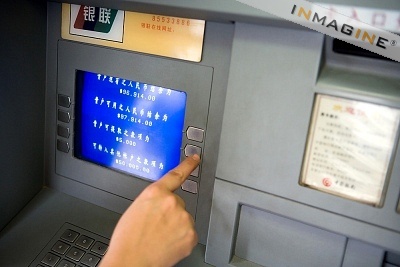 The man identified as Du, in his 20s, approached 57-year-old mother, identified as Zhang, with a knife while she was withdrawing money in Haimen, Jiangsu province, CCTV footage showed. But instead of handing over the cash, Zhang first talked to him calmly and then reprimanded him for his stupidity. “I said ‘young man, you’re so young, why are you doing this kind of thing? You think it’s a good idea? There are security cameras in here, you’re being monitored’,” she told Chinese local media. Meanwhile she waited for the ATM to swallow her card so he couldn’t use it to withdraw more cash. CCTV footage showed Zhang offering Du some money, which he didn’t take, before he fled the scene. “I thought it would be good to give him a little money, so that he would feel like he had got some money, and could leave,” she said. Instead of begrudging Du, Zhang said she sympathised with him.”Because my son is older than him, my son’s over 30, but he is only in his twenties. I thought he was so young, and not a really bad person, but perhaps in that moment he was confused and wanted to rob me,” she said. Du was later arrested by the police.”I saw a woman inside getting money, and I got out the knife to go and take her money,” he said, inside police custody. “I feel sorry I let down my Mum and Dad, and I want to say sorry to that woman too,” Du told reporters. Zhang has been celebrated as a heroine on the internet, where fans have labelled her ‘Sister Justice’ for her calm handling of the potentially life-threatening attack.